Well, here I am receiving a little prize from the Captain of HMS Mercury for taking part in the Nato Naval Communications Competition at the Naval Station of St. Kruis, in Brugge, Belgium. Just in case you are wondering why I look so young - this picture was taken in 1970. 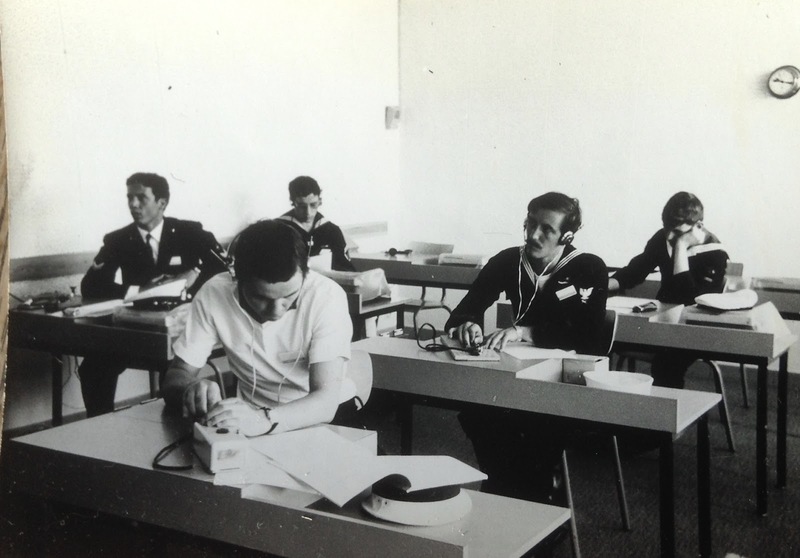 This competition consisted of four operators from each of the NATO countries' navies, competing in morse transmission, reception, tele printing, & reading flashing lights. Those doing morse transmission also had to do morse reception at 36wpm which was the competition standard. The test consisted 20 minutes of receiving 5 letter random groups. The winner in Brugge was the Italian whose best score had only two or three errors. To have any chance in the morse sending you needed to send on a straight key more than 25wpm with 99% accuracy and points were deducted if your morse code was not sent perfectly. Eight of us were recruited volunteers from across the navy we spent six weeks improving our skills in HMS Mercury before four of us were selected to go to Brugge, one of many venues used throughout the competition's history. I ended up doing morse transmission (MTX) for the competition which was scored using a combination of speed & accuracy of transmission. Our Chief was CRS Mick Puttick (G3LIK) a keen radio amateur - and still is! Here we are at the Belgian naval base, St.Kruis. Belgian senior rate i/c the Belgian team and a radio ham too. http://www.morsemad.com/nato.htm. As you can see there's no 'standard' way of sending morse, no 'European' method or American method. 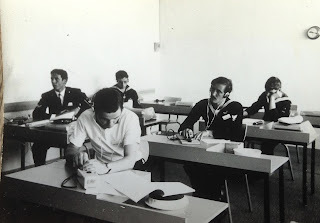 Much more about the NATO Naval Communications Competition (NAVCOMCOMP), can be found on this website > then Communicator magazine > look in the Sprin 1970 edition and you can scroll down the magazine until you find more details of the team for that year. Plus lots of information regarding Royal Naval communications. Hi Dave, It's nice to meet another CW operator that participated in the NATO COMPETITION. 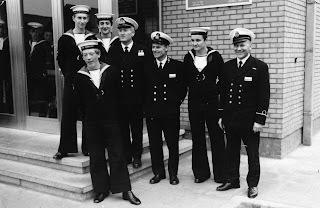 I was the team captain of the 3rd place U.S. NAVY NATO communications team in Amsterdam in April 1969, finishing 4th individually (straight key sending) in the "CW" portion of the then, 10 country NATO competition. I have remained a CW only operator for over 56 years now & like you, enjoy QRP. I concluded my NAVY career as a 'Advanced Morse' intercept instructor at Naval Communications Training Center in Pensacola, Fla. in Sept. 1972. Hi Dave,... I've found some more information about the 7th Annual Navy NATO Communications Competition held in Amsterdam in April of 1969. 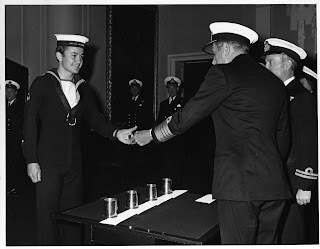 I was team captain of the 3rd place U.S. NAVY NATO communications team at Amsterdam in April 1969, finishing 4th individually (straight key sending) in the "CW" portion of the (then) 10 country NATO competition. The competition was for 5 consecutive days with a 30 minute 'test' each day. The test consisted of 5 letter/number mixed groups. On three of the 5 test days I managed to average just over 30 wpm for 30 consecutive minutes with the "straight key"
I was stationed in Turkey (TA2ZZ) at the time & went to Rota, Spain for preliminary competition against other U.S. Navy CW operators. Upon winning the preliminaries, I was selected as Team Captain of the U.S. Navy team. The final competition was held in Amsterdam that year (1969). I'm comfortable for extended periods right around 18-20 wpm with the straight key. It would be interesting to hear from other participants. Thanks for your comments Steve. I have come across someone else from another european Nato country who was in one of the competitions but I didn't follow it - can't remember the circumstances though.